Please note - allow approximately 14 business days for delivery. Call 800-869-1884 for availability. 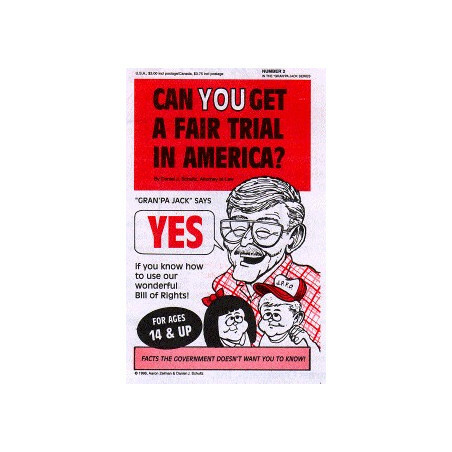 'Can You Get A Fair Trial In America?'' was written to educate Americans that no jury need convict a law-abiding citizen of the ''crime'' of self-defense. No matter what a judge or prosecutor says. 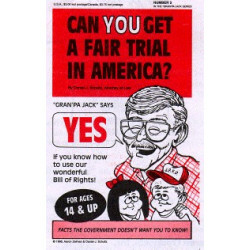 You need to use this intellectual ''firepower'' regarding your rights today, as explained in Gran' pa Jack #2.